How far can you row in 15 minutes? 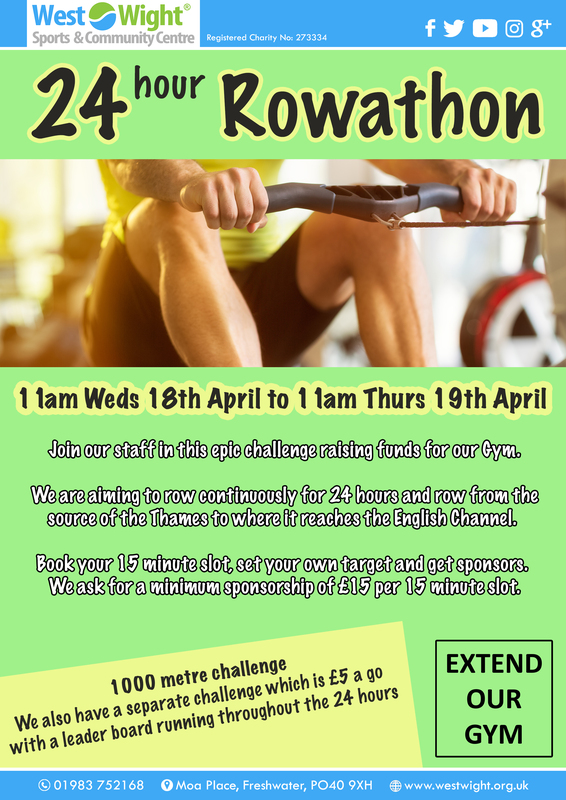 Join us on 18th / 19th April for our 24 hour Rowathon in aid of ‘Extend our Gym’ – Our new big fundraiser for the extension and improvement of our gym. 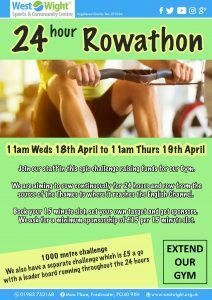 The Rowathon is the first fundraising event in aid of this and more exciting news about ‘Extend our Gym’ will be coming soon! For the Rowathon we are aiming to row continuously for 24 hours and row from the source of the Thames to where it reaches the English Channel. However we might even beat this and get all the way to France! To take part, book your 15 minute slot, set your own target and get sponsors. We ask for a minimum sponsorship of £15 per 15 minute slot. We have a sign up sheet as you enter the Centre and sponsor forms can be collected from Reception. All ages and abilities welcome to take part! There’ll also be a separate 1000 metre challenge on another rowing machine – £5 a go with a leader board running throughout the 24 hours.